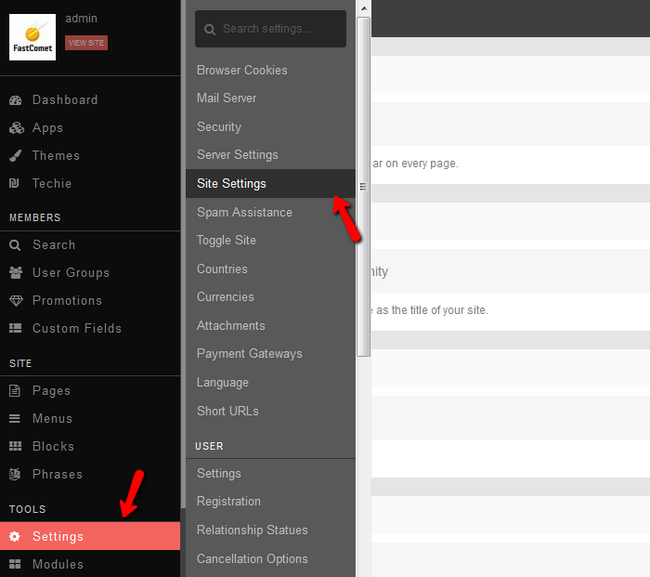 Access your admin dashboard, navigate to the Settings menu from the left panel and click on the Site Settings section. 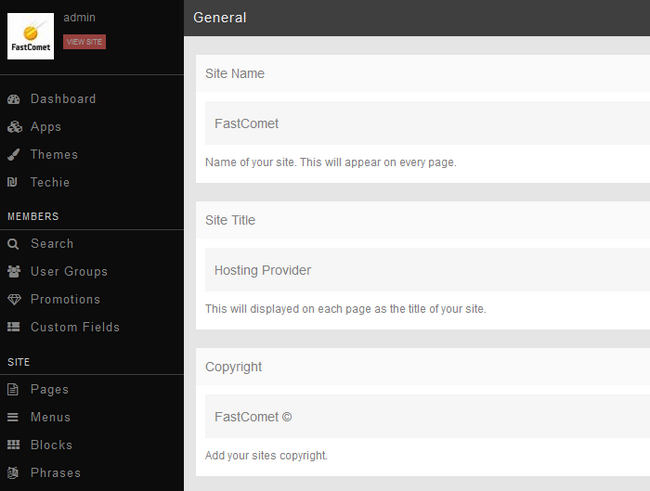 Site Name - Enter the name of your website. Site Title - Enter a title for your website. Copyright - Enter the copyright information for your website. Meta Keywords - These are used by search engines to index your pages with more relevance. Meta Description - This is used by search engines to index your pages more relevantly. Certain modules or pages have their own meta keyword settings and if those are set they will override this setting. Friends Only Community - By enabling this option certain sections (eg. Blogs, Photos etc...), will by default only show items from the member and his or her friends list.